Objective : The three years Distance Learning B.A. (Hons.) in Counselling and Guidance conducted by The Global Open University, Nagaland, has been designed for meeting the demand of the growing needs of experts in the fields of guidance and counselling, psychotherapy, Careers information, behavioural science, child psychology, psychiatric social work, organisational behaviour, marriage & family counselling, educational and Careers counselling. Award : B.A. (Hons.) in Counselling and Guidance shall be awarded to all the successful candidates by the University..
Counselling is a scientific process concerned with guidance or coping with personal trauma. With the changing times and the lifestyles, the side effects of a routine fast paced life, the role of counselling has become more important. Counselling has become almost compulsory in all academic institutions with a view to guiding the children so as to help them to optimised their mental abilities. Overcoming fear or risking exposure is another way to look at approaching a counselling centre. This includes a therapy session or a programmed technique for helping the patients. 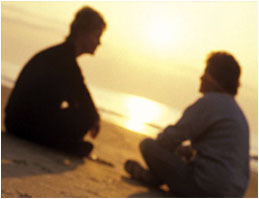 Counselling sessions also help in mitigating the disastrous effects of wrong drugs and medication. Coping with loss or grief owing to personal trauma is also taught during training. Jobs are available in all countries of the world in the areas of counselling and guidance.